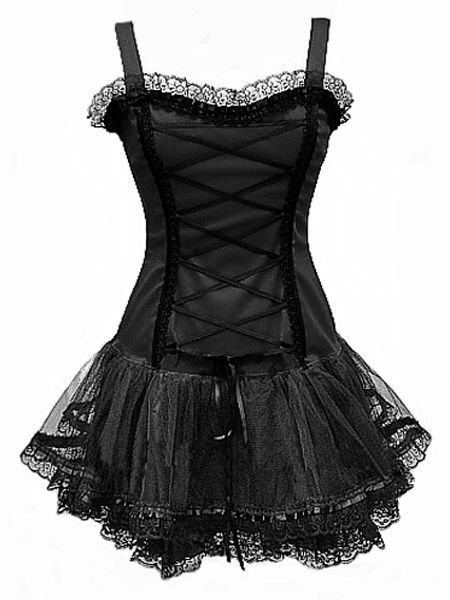 Gothic punk black corset tutu dress from Phaze. 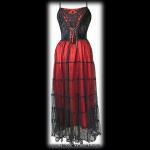 The bodice section of the dress is made from stretch cotton with boning in two places at the front and on each side seam and with braid and black satin ribbon corset lacing across the centre front. 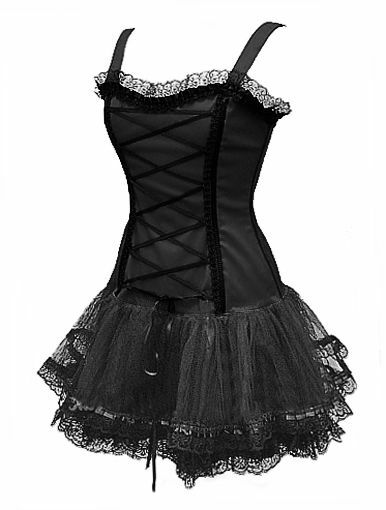 The dropped waist skirt section has a lining of black satin with two layers of stiffened black net over the top. 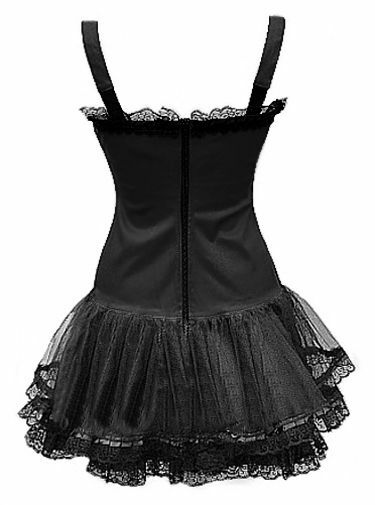 The hem of the skirt and the front and back necklines are trimmed with pleated satin ribbon and delicate black lace. 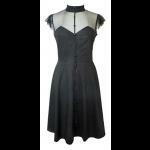 The dress has a zip fastening at the back and shoulder straps with a small insert of elastic at the back.